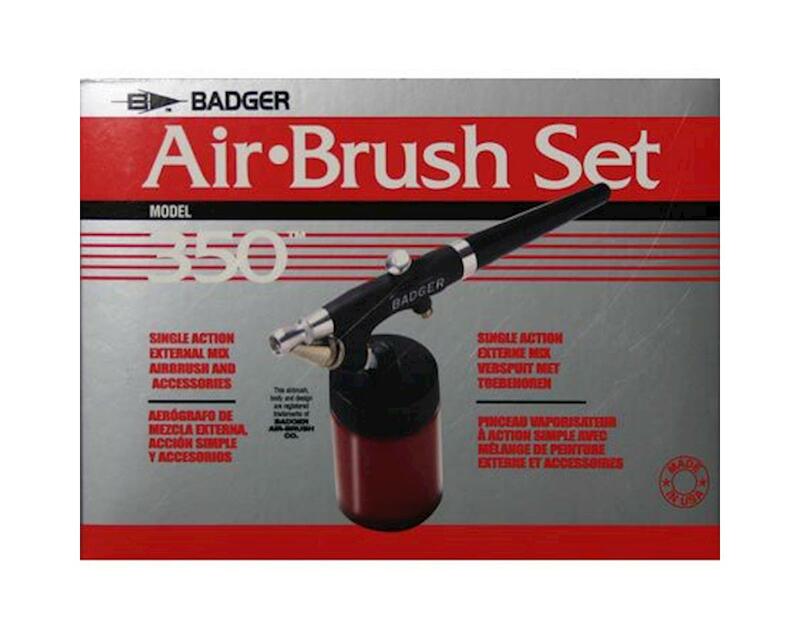 The 350® is an external mix airbrush. Air and paint mix outside the airbrush, creating a larger, coarser "dot" pattern and providing a heavier spray volume. The 350® is superb for base coating, stenciling, stipling, touch up projects, etc. An excellent choice for beginning students, hobbyists, ceramists, and automotive painters. This model sprays high viscosity materials such as ceramic glazes and stains, and hobby enamels with ease. It is also effectively used with properly reduced acrylics, inks, dyes, watercolors, acrylic lacquers, enamels, Air-Opaque™, Air-Tex®, Spectra-Tex® and MODELflex® airbrush colors.